The pay gap has been closing but progress is slow. At the current rate of progress (2012-15) it will take over 60 years to close the gap for full-time workers. There’s no one cause of the gap, but important factors include discrimination, undervaluing roles predominately done by women, dominance of men in the best paid positions and unequal caring responsibilities. The gap is wider for older women, Black Minority Ethnic women, women in certain occupational sectors (e.g. skilled trades) and women on higher earnings. Part of the reason that the Government have been unable to significantly shift the gender pay gap is because they have no strategy to tackle the chronic low pay where many women reside. There is a persistent, low wage, low skill, low progression section of economy where the majority of the workforce are women. 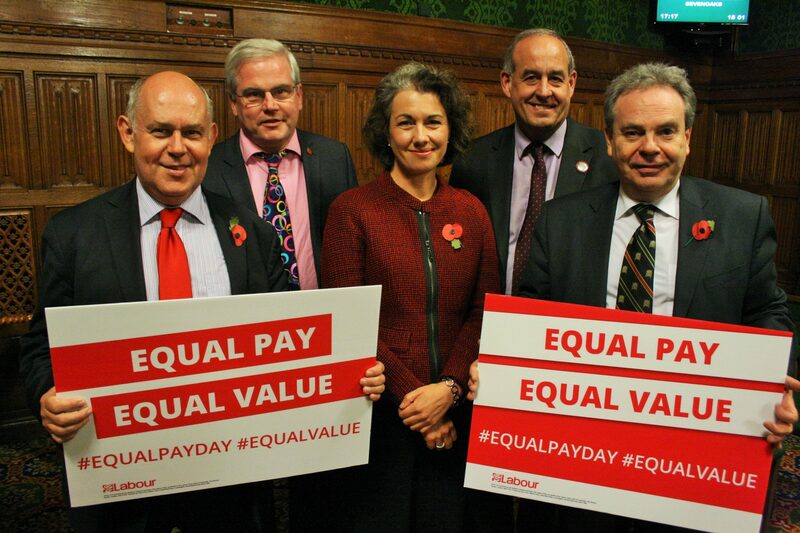 The theme for this year’s equal pay day is ‘Equal Value’ – focussing on the value attached to women in the workforce, their terms and conditions and their place in the Labour market. Almost every major piece of legislation that has improved the lives of working women has been introduced by a Labour Government. Labour has more women MPs than all the other parties put together and is the only party to promote the use of All Women Shortlists to ensure better gender representation in Parliament. We in Labour understand the need to push forward for greater equality. That is why I continue to support all initiatives to bring about this much needed change. This Government has been bad for women. Not only has it introduced unfair pension’s policies for women born in the 1950s, but they are also the group most negatively affected by the gender pay gap; they experience a pay gap of 19.4%. I am an active member of the All Party Group fighting the government’s pension policy and I will continue to fight for pay equality. Our economy can only thrive if it works for everyone. It is shocking to see that it will take 60 years for pay equality to come about if we continue under the Government’s current pace. Women getting paid 13.9% less than men is wrong and must come to an end.